Home > Questionnaires > Questionnaire: Is Joining a Tour Right for Your Gap Year? Many potential gappers consider joining tour groups as an easy way to cover a lot of area in the company of experienced guides and other interested travellers. Some people consider this an ideal way to travel while others consider it unnecessarily restraining and even downright boring. To help you reflect on whether or not joining a gap year tour is a good idea we have put together the following questionnaire. Answer each question honestly and count “I don’t know” answers as “No”. Then add up your answers and match the total number of “yes” answers to the explanations at the end to better determine if joining a tour group is right for your gap year. 1. Have you investigated tours in the locations you would like to visit? 2. Would joining a tour allow you to see or do things not open to the general public? 3. Can you comfortably afford to join a group tour? 4. Can you travel on a tour but pick and choose the activities you join? 5. Is travelling in a tour recommended for safety in a particular location? 6. Would listening to a tour guide positively impact your travel experience? 7. Do you prefer to travel in the company of others rather than alone? 8. Are the tours you are considering registered/certified with tourist boards? 9. Does the cost of your chosen tour include food, admission to sites, etc? 10. Are you confident in the safety of transportation on your chosen tour? 11. 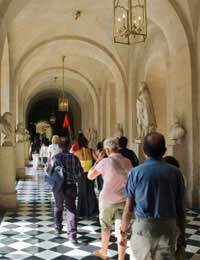 Can you join a group tour at any time/location which suits your schedule? 12. Would you feel comfortable leaving accommodation decisions up to a tour? Is Joining a Tour Group Right for Your Gap Year? Is you answered “yes” to between zero and four questions then joining a tour group is probably not right for your gap year. It may be that you like more flexibility in your itinerary or that you don’t see any value in a group tour that you couldn’t take advantage of on your own. Even if a group tour doesn’t suit your personality or travel style, remember that many people view group tours as more official or safe. If you are hoping to use your gap year to further your education or even career, see if there are recommended tours which might be valuable (this is particularly true of things like language immersion tours or activity specific tours such as cooking). Similarly, if your parents are not yet on board with you taking time out for a gap year, consider a group tour as a compromise which might make them feel more confident of your safety as you go. If you answered “yes” to between five and eight questions then joining a tour group may be right for your gap year. You likely have thought about how joining a tour could positively impact your trip but aren’t yet convinced that the extra expenditure or constraints are worth these benefits. Now is the time to take a long, hard look at your finances and expectations. Crunch the numbers about how much it would cost to do all of the tour activities on your own, including transportation, accommodation and any food that is included in the tour price. Also consider airport transfers, planned group activities and that you will be travelling with an experienced tour guide. Ask experienced travellers if there are any non-monetary benefits to a particular tour, such as easier access to an attraction or a feeling of greater personal safety. When you have a good idea of the cost of a tour versus the benefits your decision should become much easier. If you answered “yes” to nine or more questions then joining a tour group is probably right for your gap year. You likely appreciate the ease of a group tour as well as the benefits of allowing professionals to orchestrate your itinerary. Before committing to any particular group, research if the company or one of its tour guides is recommend, has had complaints lodged against it/him/her and is registered or certified by an area’s official tourist board. Also do some less formal research and ask any returned gappers you know if they had good experienced with tours and if not, or if they didn’t join any tours, why not. The more information you can get about particular tours should help you better find the one that will be perfect for you.